So what sparked this obsession? I think it was one of my favorite outfits from Fashion First Seattle (the runway shot, pictured below). When I saw it come down the runway, I knew I wanted to recreate the look. And while the runway look wasn’t exactly haute couture, for a trend I’m unsure about, I always am looking to get a bargain. (I don’t exactly have height on my side, and this is something I usually only see tall women pulling off!) And that’s where my new favorite shopping tool, Shopswell, came into play. With Shopswell, I was able to gather multiple ponchos for consideration, track the prices, and ultimately pick the one that was calling to me in a visual way. What I love most are the alerts I receive when an item I’m watching goes on sale. Oh, and the private list feature! I know that will come in handy for the holidays. I’m planning on creating a different board for each person (and pet, can’t forget Rigby!) on my list. I also love that fact that if an item is no longer available, Shopswell lets you know. Unlike Pinterest, there’s no disappointment from clicking a link that takes you nowhere! The giant blanket scarf/poncho trend is one of my absolute favorites. You are rockin’ this look! The poncho trend is hands down my favorite this season as well! Every time I pass one in a store I have to tell myself no and slowly back away. They’re so cute and multi-functional. I’m loving ponchos, plaid, sweaters, and OTK boot! Love your look! Thanks for sharing! I’ve never been able to pull off a poncho but you make it look fabulous! This outfit has fall written all over it in the best way possible!! I love ponchos too and I need to get my hands on one ASAP. Totally, they’re perfect for fall and winter! 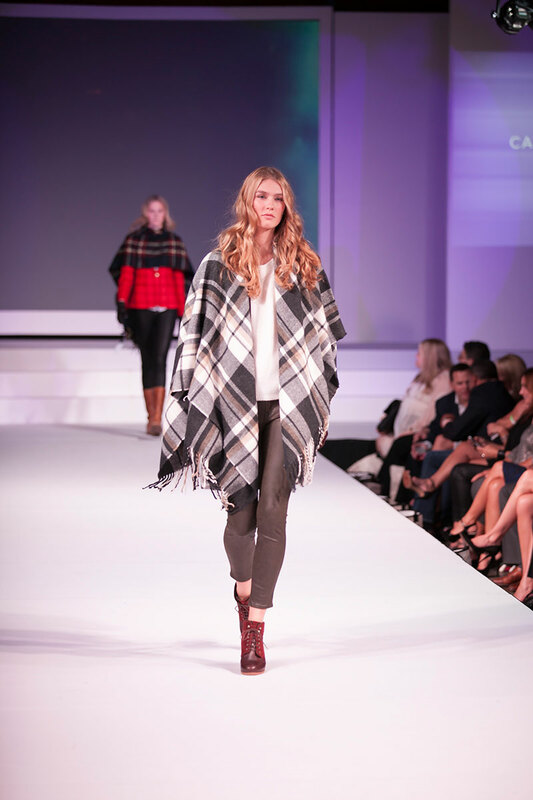 Love the poncho but swooning over them booties girl! Thanks Jordyn, couldn’t agree more! I am loving this trend! You styled your poncho so perfectly! I love your shall!! I wore one of these to work today! LOVE how comfy and pretty they are! Thanks Nicole! They are super comfortable, and perfect for wearing to work! LOVE that poncho look. It’s so fall! Absolutely love! 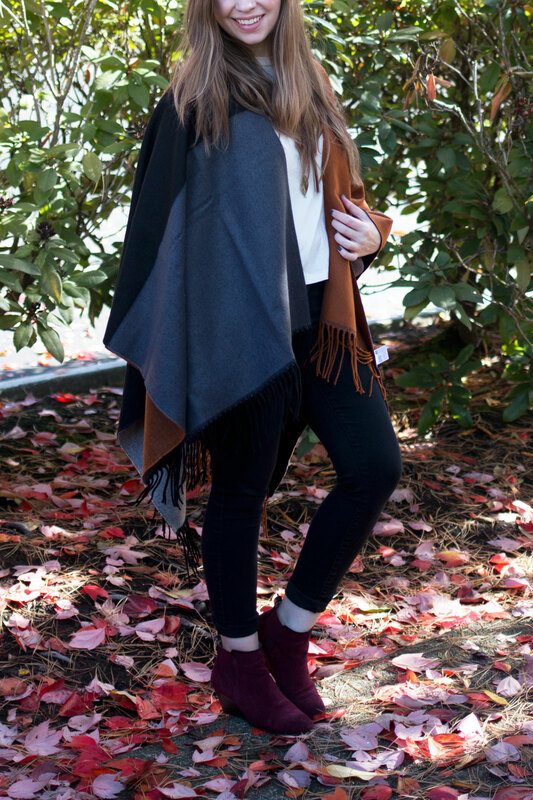 I’m wearing a fall poncho in my post tomorrow hehe! I absolutely adore ponchos! I’m looking to get some soon myself, they’re so versatile! They really are! Hope you find the perfect one soon Courtney! i never thought i’d like ponchos, but the plaid ones that are coming out are just too adorable and i kind of want one! love yours as well, the colours are gorgeous! Loving the poncho! I only own a more summery one, I need to get one for Fall/Winter! So cute and comfy-looking! Love it! I love the outfit and ponchos are the best for traveling! So true! I’m definitely packing one for our upcoming trips for the plane! This looks SO good on you! I absolutely love the color blocking of the poncho too. It’s got enough warm and cool colors to be the epitome of fall! So true! The colors are what sold me on it! 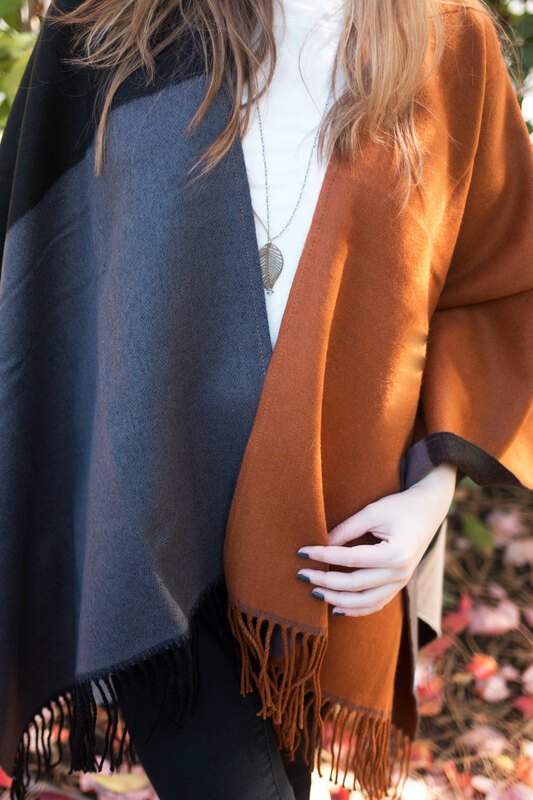 I am loving the fall tones of this poncho- it’s so perfect! I’m also digging those burgundy wedge booties. I love the mixture of colors in your outfit! The poncho and boots look great together! That poncho is so cute! 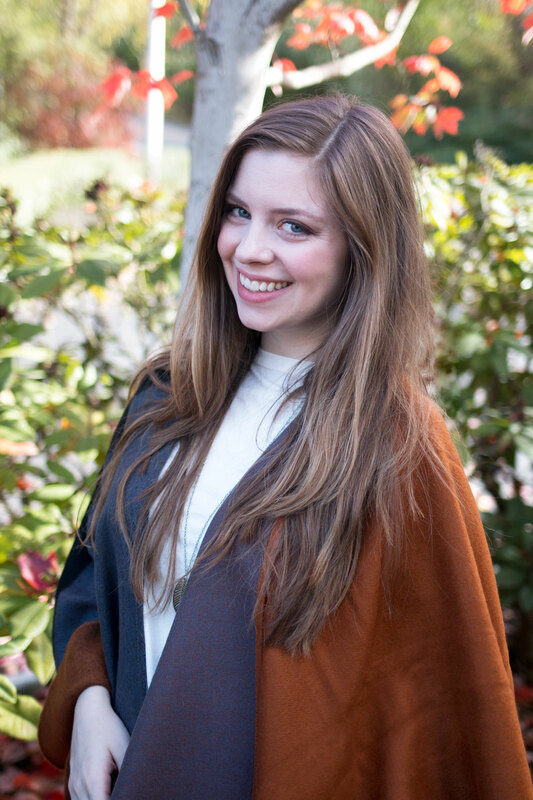 Ponchos are one of my favorite things to wear during the Fall! Thanks Ally! So comfy and cozy.